It’s no secret that many turn to Pro-Line Racing for their wide variety of bodies, tires, performance parts and support accessories. But do you turn to their website for inspiration? Shh, here’s a secret, we do! 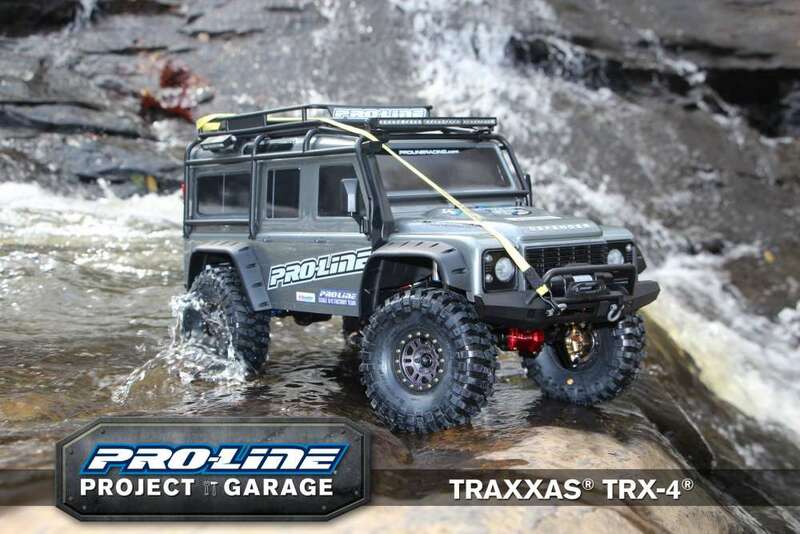 Pro-Line has a great blog section on their website that features details builds of project vehicles. Sometimes it just takes a simple idea to spark a whole build and as such we wanted to highlight some of the best builds we found on the site. We knew that once we saw the Traxxas TRX-4 there would be an endless possibility of aftermarket parts and accessories to really make it your own. Something that makes the TRX-4 so great for modding is the shear size of the vehicle. It sits much larger than your typical rock racer (not that it is in the same category) and as such looks that much better out on the trails. 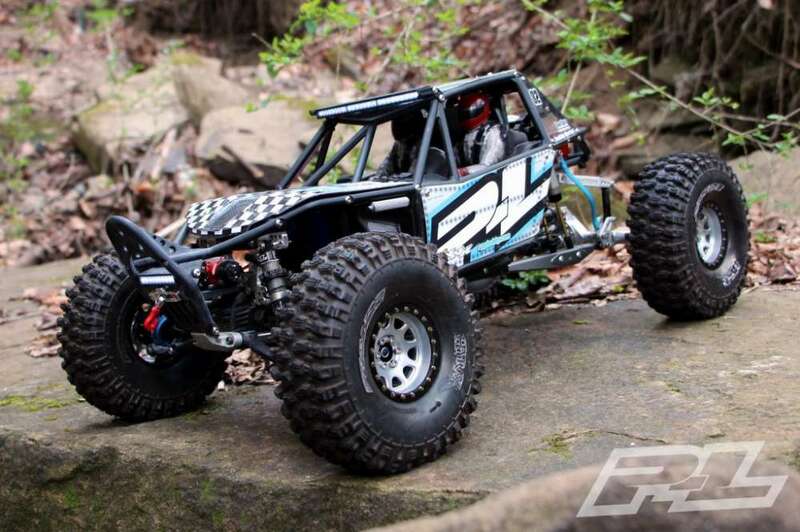 Traxxas has done their homework with this rig and added plenty of scale accessories, but you know Pro-Line racing, the RTR is just a blank canvas for modding. 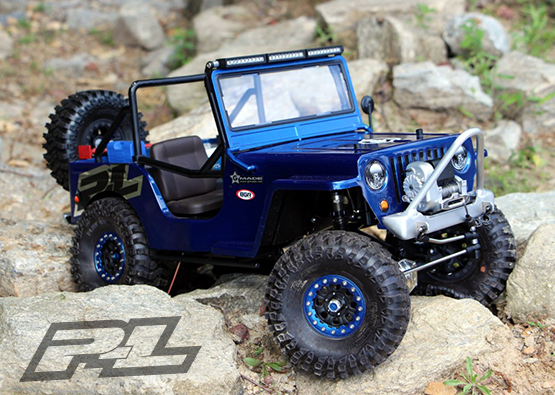 Check out their makeover of the TRX-4 and learn why these mods can help yours as well. The Traxxas body that good out of the box that not much has to change there. But because of the shape and scale-ness of it, so many Pro-Line accessories just bolt right on and look like they where designed specifically for this kit. So here is the rundown. 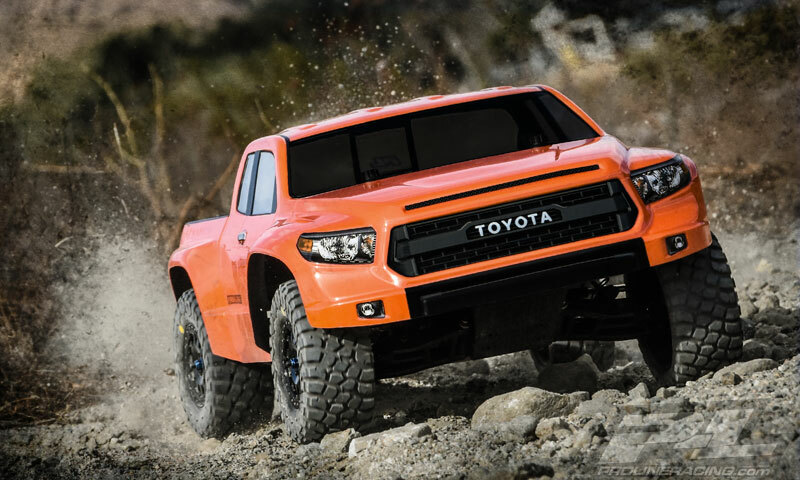 You are going to want to start with the lighting to give your rig that off-roader feel. Pro-Line has various options, but the curved 6” 6276-02 looks just at home up front. It looks even better if you dress up the sides with multiple 2” 6276-00 sets (a few on the sides and one in the rear look killer). When off-roading you need to have a tow strap for your buddies so don’t forget to throw one on your TRX-4 6314-00. Extra fuel tanks are always useful and thankfully Pro-Line has you covered with their fuel packs 6311-00. Now that you have the lighting all set all that really is left is to decorate your model to your liking with various scale accessories. 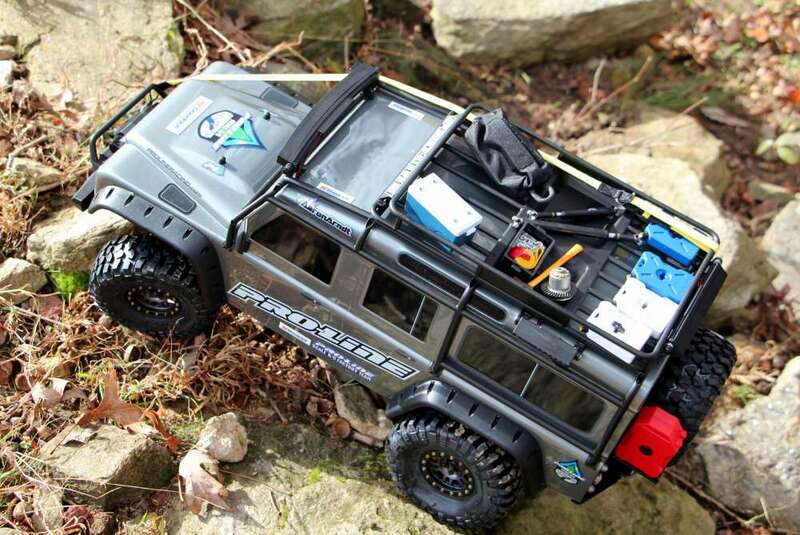 Yo have to love the camping set 6106-00 from Pro-Line which has a grill, keg, and propane tank (is there anything else you need when camping?). There are plenty more accessories available so feel free to go overboard! No matter what color body you have some of the best looking wheels that Pro-Line has to offer is the Pro-Forge 1.9 Gun Metal 6 Lug Bead lock wheels 2764-02. They look fantastic and are of course a bead-lock rim. Made of aluminum, they can be sure to handle all the abuse you can throw at it and also will not show signs of wear after multiple tire replacements. 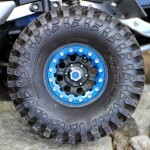 You will need to purchase hex adapters from Pro-Line 6292-00 for these rims to work, but they are well worth it in the end. Tires are an easy choice and if you do not have a preference, we recommend the 1.9 BFGoodrich Krawler TA KX Rock Terrain tires 10136-14. Our favorite part about the tires are the looks, but in typical Pro-Line fashion they have the performance to back it up! The deep tread pattern matches well with the .9 Single stage Closed Cell Rock Crawler Foams 6173-00. 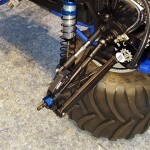 It allows the tires to manipulate over the roughest of terrain. 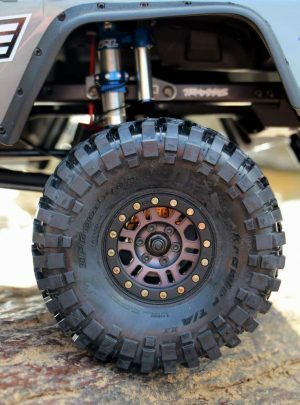 While the wheels and tires will most definitely offer the largest performance advantage, Pro-Line has some other tricks up its sleeve. They found if you are able to mount an aftermarket shock tower capable of accepting more shock mounting options, the Ultra Reservoir Shocks 6288-00 bolt on nicely. With these shocks you gain many adjustment options, from shock rebound and the dual rate springs allow for a more planted feel whether travelling fast or slow on all type of terrains. Ah the Traxxas Stampede, it is still around and just as alive as ever. There are so many variants for sale nowadays, but the beauty in this platform is customizing it to make it your own. There are countless aftermarket upgrades available from probably hundreds of companies out there, so it is always nice to see a company’s take on this classic icon. Speaking of classic icons, the Bigfoot is probably one of the mot recognizable monster trucks out there and was the theme for this Pro-Line build. It would be a shame not to use the Pro-Line Pro-Trac Suspension kit 6062-00 for this build. I have personally used this in some of my other projects and it really transformed my vehicle into something else. This kit features wheels, suspension arms, hubs, and more to widen the stance of your vehicle This results is a MUCH better handling truck when compared to stock form. Yes it is a monster truck, but it’s no fun when you have to run across the yard to flip it over every time you want to turn sharply. With the wider stance, sharper turns can be taken without scrubbing much speed to keep that enjoyment factor high. Some other Pr-Line bits that can help with durability are the RO-2 Hinge Pin Set 6096-00 and the PRO-2 Hard Anodized Front Hinge Pin Brace 6104-00. Pro-Line went all out with this build and added the Pro-Spec Shocks 6308-31 in the rear for added stability, which needed the Power Stroke SC Universal Shock Mounting Hardware kit 6063-05. As you will soon see, larger wheels and tires will be used and in order to accommodate the added weight PRO-MT Rear Hub Carriers 6262-05 where used as more of a preventative maintenance item. To power the extra weight, a brushless system will certainly be needed and Pro-Line chose the Holmes Hobbies Puller Pro BLE 540 Standard 4500kv Brushless Motor and Trailmaster BLE PRO Speed Controller which is a pro level system with an insane amount of power for this build. In order to support the added power, the transmission needed to be upgraded to the Pro-Line All Metal HD Transmission 6261-00. Pro-Line wanted to minimize the threat of spur gears stripping so they converted the standard Traxxas set to 32P which has larger teeth which will be more durable at the expense of some noise and efficiency (not a problem with the brushless system now). To transfer this power from the transmission the Pro-Spline axles 6277-00 were an easy choice and will be super durable in the long term. A monster truck would be nothing without a big honkin’ set of wheels and tires. The wheel set that comes with the the ProTrac Suspension Kit is a bt too low profile and performance oriented to be worthy of the Bigfoot name, so Brawler Clod Buster 2.6” 17.5mm Offset White Wheels 2760-04 where used. These wheels had to be narrowed to work with the tire new suspension setup and was achieved by trimming the rear bead portion. Speaking of tires the Destroyer 2.6” M3 All Terrain Truck Tires 10114-02 look absolutely menacing, just like something you would expect to see on a real monster truck and really transform the vibe of a stock Traxxas Stampede. Front Clamping 6097-00 PRO-2 and PRO-2 Rear Clamping Hex’s 6098-00 are a great way to mate the wheels to the driveline and make maintenance a breeze down the line. 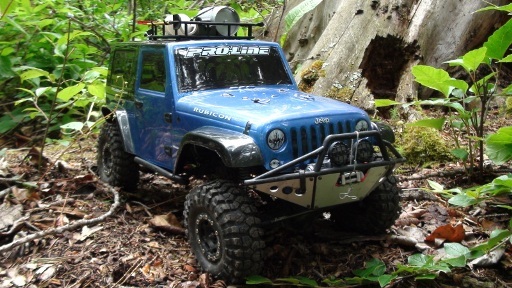 Nothing is more identifiable as a Wrangler off-roading and as such is one of the most popular vehicles to model for full scale builds. GMade has been making scaler rigs for quite some time now, and have some of the highest quality kits money can buy. The Sawback is a killer kit and we are sure that it top’s many people wish list. It is a 4 wheel steering, 4 link setup and offers incredible attention to detail. Even the receiver box is molded to look like an intake manifold. Love it! Even with all of these details, there is room to mod this rig and make it unique to yourself and the Pro-Line take on this build is absolutely stunning. If you don’t want to blow much cash, it doesn’t get much better than the Pro-line 1.9 Denali Wheels 2747-15. They certainly look the part, and mount up to most crawler tires. Pro-Line even painted the bead lock rings which give it an extra level of customization without spending more money. To keep with that badass off-road look, the 1.9 Flat Iron XL Tires are a match made in heaven. We would be thrilled with these tires for just scale looks, but they are extremely high performing as well. The large lugs tend to grab anything in its way, letting nothing stop it. This wheel/tire combo alone will make your Jeep look much better than stock. 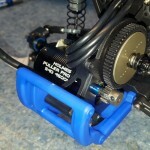 PRO-2 Clamping Hex’s 6098-00 do a great job of transfering the power to the axles and you can even order some matching wheel nuts depending on the color you choose (in the Pro-Line build’s case blue 6100-00). 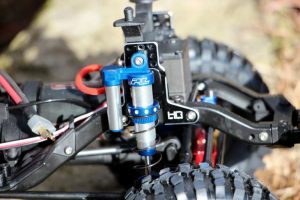 Pro-Line makes a killer set of 90mm to 95mm Scaler Shocks 6060-00 that can mount to just about anything and where perfect for this build. 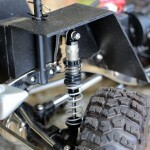 Like other Pro-Line shocks they features a dual spring system for even more control over your suspensions settings. 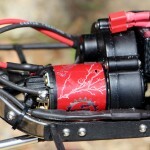 Some GMade kits come with motor/ESC combos but for better performance Pro-Line’s build used the Holmes Hobbies CrawlMaster Pro 540 Motor and waterproof TrailMaster BLE PRO Speed controller. It is a fully competition ready electronics setup that offers insane levels of control at all speeds. Pro-Line has a killer idea of using plastic sheets that are found in your local hobby shop to create interio fenders/wheel wells. These came out looking fantastic, especially after a coat of cheap spray paint is added. 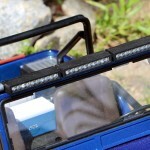 Within the theme of adding scale details the tried and true 2” Super Bright LED light bar kits 6276-00, by using 3 in a row you can fill up the entire part of the roll cage for the appearance of one long light bar. 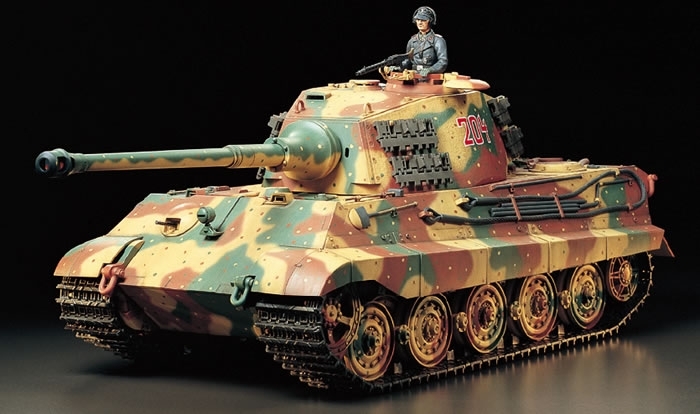 After that is done there is always the entire list of scale accessories that Pro-Line sells (parts 6040-00, 6074-00, 6075-00, 6106-00, 6107-00, and 6073-00). We particularly like the accessory pack #1 6040-00, as it has a little something for everyone. Out of all the projects, the The Pro-Line Death Metal Garage Axial Racing RR10 Bomber IFS Conversion Project (that’s a mouthful isn’t it?) has got to be the most custom project on their site. It utilizes a kit from Death Metal Garage which includes most of the parts you need to fully convert your Axial RR10 Bomber. They used a plethora of parts on this one so it is easier for me to point you right to the build. It covers in depth what custom parts where used (and there are plenty!) from electronics to supporting gear that the custom chassis needs in order to work. 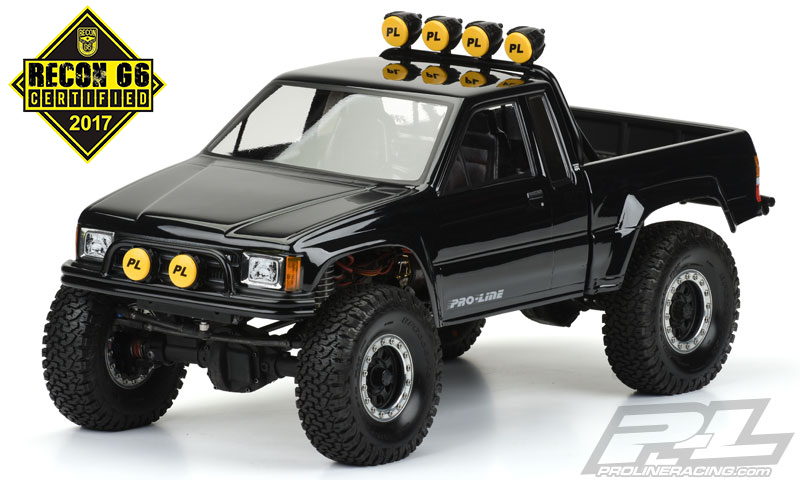 While this whole build is absolutely fantastic, Pro-Line is the focus of this article so what parts worked on this custom rig? As a staple in most of the scale builds the 2” 6276-00 LED sets are very versatile and can be stuck all around the vehicle, so stock up on a few of these. Pro-Line went with the Hyrax 2.2” Tires 10132-14 with 2.2” Dual Stage Closed Cell Inner / Soft Outer Rock Crawling Foam inserts 6176-00. This is a super grippy combo that is hard to beat on the trails and the foam is a dual stage foam with a softer outer foam. The idea being that the sidewall can remain intact and the inner closed cell foams counter better to the wheels. You can use the Power Stroke Shocks 6063-01 on the front of this project for better handling characteristics with the dual springs (PowerStroke XT Shocks 6275-00 sit on the rear very nicely). Since the focus of this build was more on the performance side of things, scale accessories weren’t as necessary, but feel free to go crazy and make it your own! 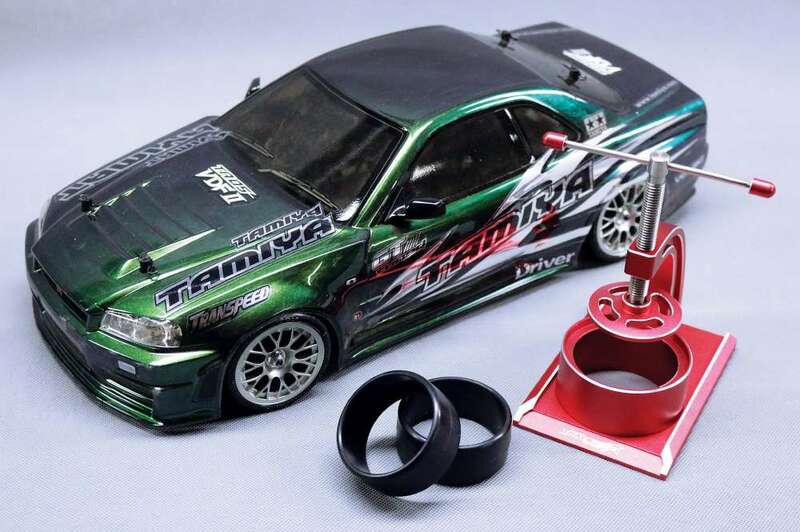 While we were only able to touch upon four Pro-Line Racing Project builds, they are a constant source of inspiration on how to take a new project to the next level. 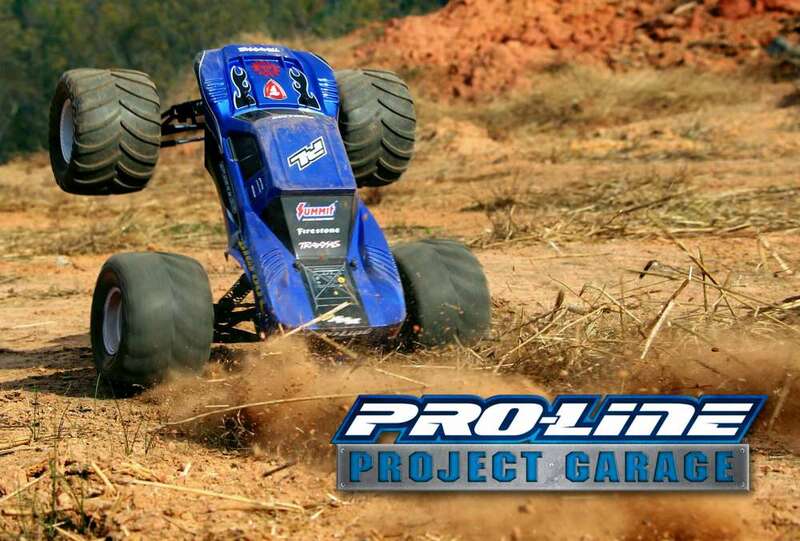 Whether you want to take your Slash out on the beach to the dunes or focus on some of the sick scaler builds that were shown, you know Pro-Line has something for you. Don’t forget, they are the king of racing as well with any tire you can ever want for every condition!